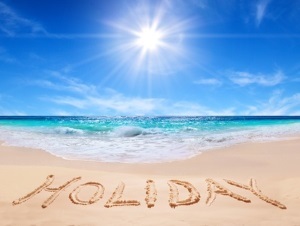 Get expert advice on an accident on holiday abroad with a free, no obligation consultation. Nobody wants to think about accidents, injuries and illnesses when planning a holiday and especially when planning a holiday abroad. Unfortunately, accidents can and do happen anytime, anywhere. While an accident or injury is a sure holiday-spoiler, if it does happen, it helps to know that there are clear cut laws in place regarding filing a claim for compensation. According to the personal injury law, if you meet with an accident or suffer an injury or illness whilst holidaying abroad and if the fault lies with another party, you may be entitled to file a claim for compensation. There are several factors that come into play when considering claiming for an accident while on holiday abroad. Among the most significant factors would be whether you had booked your trip as part of a package deal through a travel agent in the United Kingdom or whether you had made all of your travel and staying arrangements by yourself. If it was part of a package deal and the accident was wholly or partly the fault of the travel agent or their representative, you are entitled to file a compensation claim against the travel agent in the UK. Keep in mind, both requirements must be met – your trip should be part of a package deal AND the injury should be the fault of the travel agent, whether directly or indirectly. For example if you slipped, tripped or fell on a badly maintained part of the hotel grounds or you suffer from food poisoning after dining in the hotel, you would be entitled to file a claim against your travel agent as they had booked the hotel for you. The travel agent is also liable for any accident or injury that occurs while you are travelling to and from your destination as well as any other touring or sightseeing activities that are part of the package. However, if you happen to get injured while sightseeing independently on your own, you may not be able to file a compensation claim against your travel agent as they cannot be held responsible for any non-package activities and they are not under any obligation to pay you any compensation. If you are injured in an accident while engaged in some kind of sporting activity that was part of the package plan, then your travel agent would again be held liable and you can file for compensation against them. If you did not book your holiday through any UK-based travel agent, then a whole different set of rules would come into play. If you sustained an injury while on the hotel grounds, you could file for compensation against the hotel, depending on the nature of the accident. The hotel would also be held responsible if you suffered from food poisoning after eating at the hotel restaurant. Should you trip and fall or get injured at a location away from the hotel, you may be able to file a claim against the organisation or authority that was responsible for the upkeep of that specific area. If the accident occurred while you were engaged in any sporting activity, whether or not you are entitled to compensation depends on the nature of the sport. The organisation that runs the sporting activities would generally be held responsible for any accidents that happen while you are using any of their facilities. If you wish to file a compensation claim for an accident on holiday abroad, it is always advisable to hire a personal injury solicitor to review the circumstances in more detail before a final decision can be made.